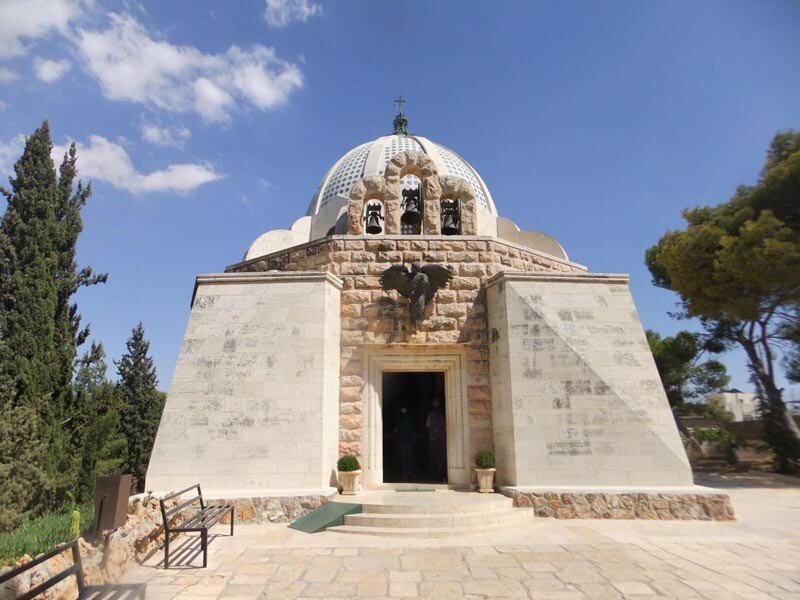 Enjoy a half day tour with your private tour guide in Bethlehem and visit the Nativity Church, the birthplace of our Lord including the caves of Saint Jerome and Saint Catherine Church and a visit to the Milk Grotto and the Shepherd’s Field in Beit Sahour. Meeting point at Bethlehem 300 Checkpoint. 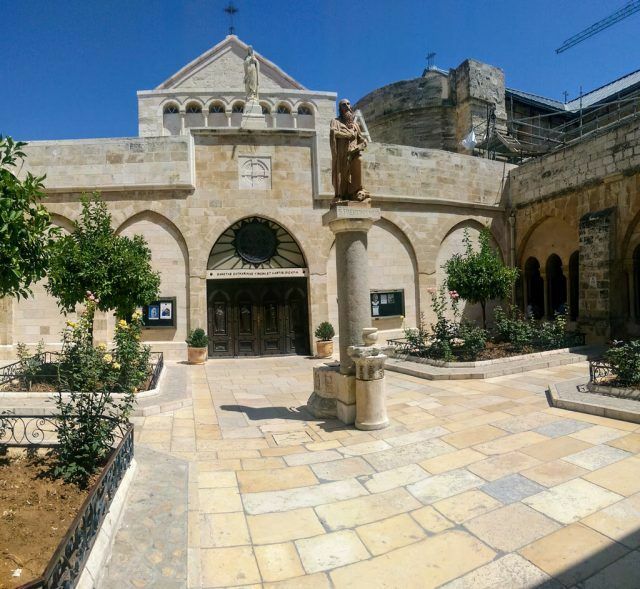 Start the day in Manger Square where we will visit to the Nativity Church that was build by Justinian in 530 AD entering the Byzantine basilica through the main entrance” The door of humility” and see the original floor of the first church of Constantine from 326 AD. 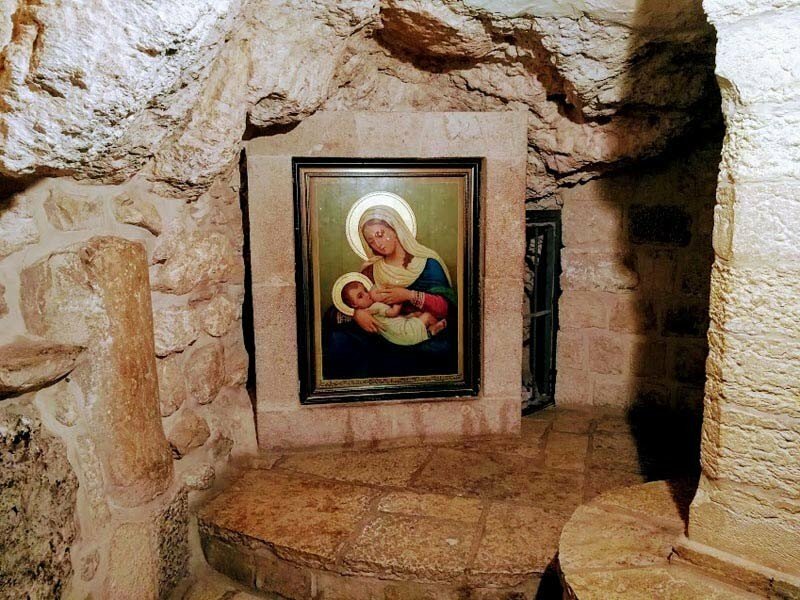 We will take the steps to get down to the grotto, the spot where Jesus was born from Virgin Mary and then continue to Saint Catherine Church and visit Saint Jerome’s Caves to see the place where he translated the bible in the fifth century. The Nativity Church is listed as UNESCO world heritage site. 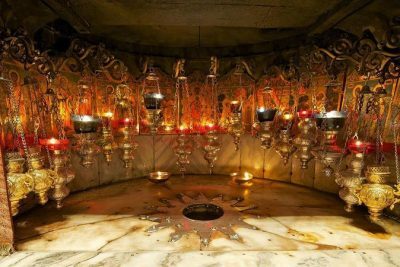 Afterward we will walk Milk Grotto street towards the Church of Milk Grotto where it is believed according to tradition that while Virgin Mary was feeding baby Jesus a drop of milk felt on the ground and turned the stones all into white. To Beit Sahour. 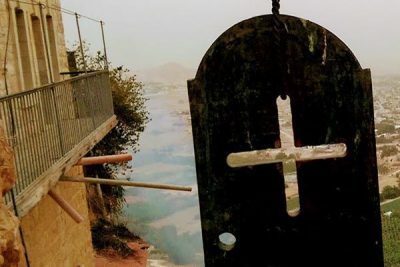 This historic town, whose name means “Place of the Night Watch”, in reference to the Shepherds who keep watch over their flock by night, lies 1km east of Bethlehem. 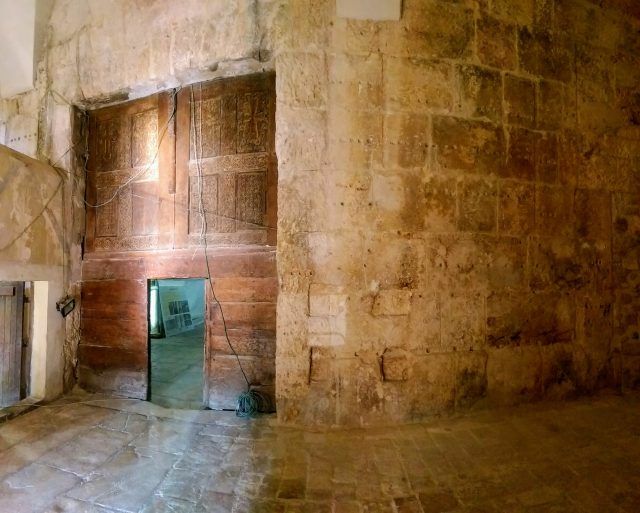 In the past, the Canaanites inhabited its numerous caves, and today it is the home of many churches and convents. 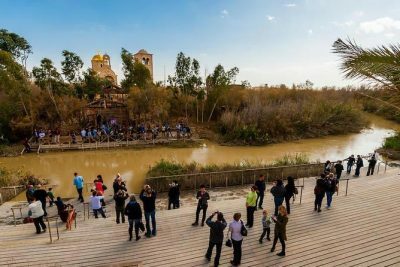 Churches now mark the sites of Shepherds Field, the Field of Ruth and the Well of the Lady. Drive back to Bethlehem-Jerusalem check-point for departure.